It's useful and necessary to discuss learning habits. It's useful and necessary to discuss learning habits. In reality, different students have different learning habits, which I think influence their learning efficiency greatly. Good habits always lead to high efficiency, while bad ones bring the opposite. Some students are good at concentrating on what the teachers teach in class. They think only in this way can they understand and memorize the teaching materials better. If we find those materials interesting, we'll focus our attention on them for long. However, those dull lessons require our determination, self-controlling ability and confidence. My classmates always call me "Mr. forgetful", because I cannot memorize those I have learnt. I know that it is because I don't spend some time in memorizing them after class. My teachers advise me to repeat the materials several times and read them aloud, which they think will help improve my memory. This letter is a complaint concerning the actions of one of your salespersons. On Tuesday, May 5, 2012, around 2 P.m.., I went to your store to look for a T-shirt. When I asked a salesperson, Ms. Wang for help in finding my size, she informed me that she was busy and I would have to find one myself. I explained that the reason why I came to her was that I couldn't find one. She then said in a rude tone that if I couldn't find one, it meant that the store didn't have it, and that I needed to look somewhere else. I felt that Ms Wang was rude. I hope that you will look into the matter: I shop frequently at your store and I look forward to a more pleasurable shopping experience next time. Should Internet Slang Be Prohibited? 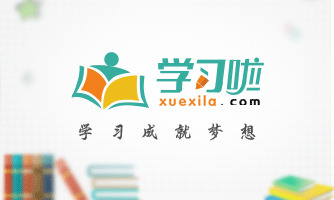 At present, Internet Slang, such as “GG, MM, Xia Mi”，has become popular among the teenagers. Every coin has two sides. In my opinion, living in the Information Age, if we don't know the Internet Slang, we seem to fall behind the times. It will be OK as long as these terms are used correctly in proper situations.